You may be wondering what connection there is between a country and a corporation. To be frank, there is very little difference in managing a country’s or a company’s image. If you happen to follow any Olympic athletes on Twitter or read the news online, you’re probably hearing horror stories of the inability to flush toilet paper, lights falling from the ceiling, unsafe water, and lost reservations at Russia’s Olympic Village. This is certainly not the image Russia wants to portray. As a business, you want to avoid this kind of tarnished image at all costs. Social media and public relations can make or break you. Be aware of expectations, then exceed them: Simply put, it is impossible in this day and age to have a bad product or bad customer service and not have it publicized. Media moves so quickly that it is impossible for a company to hide its track record from new or prospective customers. The only sure way to prevent public relation backlash is by giving customers nothing to complain about. Prepare responses: Any comments Russia has released on the state of the hotels have been too little too late. Your company needs to be prepared to respond politely and quickly to any complaints. Being proactive on social media may be the only way for a company to save face after disastrous reviews. Social media managers must have a plan in place for facing these situations. Be Proactive: Don’t just wait for an upset customer to tweet about you. Build relationships through postings, social media events, and interactions. Managing your image consistently is about how you present yourself and your company, and this requires careful planning and attention. A positive company image does not just happen on its own. Need more indepth advice? The courses Public Relations Boot Camp and Social Media Marketing for Dummies will help your company and employees to develop these skills. These courses will help you to create a clear message and image for your company and teach you how communicate that message over various social mediums. 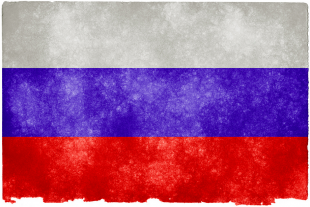 Our elearning resources are the perfect way to prevent the same unfortunate mistakes Russia has made and instead help you build a solid base of loyal customers. Anna Taylor is currently a junior at the University of Portland pursuing a degree in marketing with a minor in psychology. She is the 2013 PBL Club President and is studying abroad this semester at John Cabot University in Rome, Italy. Connect with her on LinkedIn.